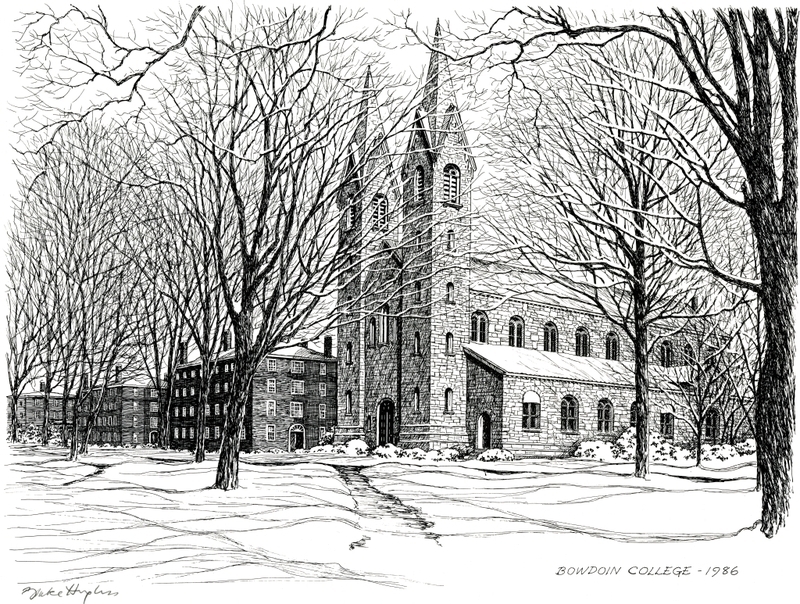 Left to right: Adams Hall, Winthrop Hall, Maine Hall, and the Chapel, with the Chapel in the foreground. Pen-and-ink drawing with bare trees and snow on the ground. Print was issued by the Office of Donor Relations in the 1980s in recognition of generous donations.